Day 1 of the India Rankin Cup and not a great start for the Hilly Boys. Despite dominating possession they didn’t manage to score and Bethlehem took the chances they had and won. In the afternoon the boys played really well, much better than this morning, but were simply outclassed. Gus came away with a pulled ligaments after rolling his ankle in a collision with one 9fcthe STACs players. Hopefully he will be able to play later in the week. In between games we went for a drive round the bays and wandered a bit. 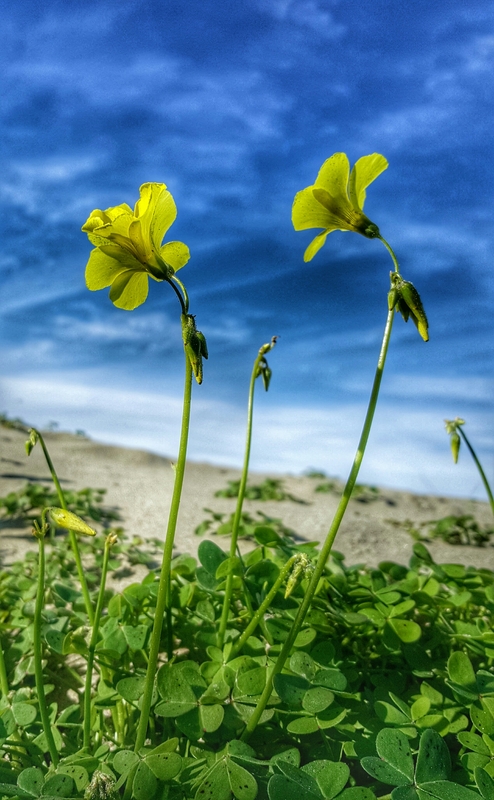 I love the bright yellow of these oxalis against the bluebird springtime sky.